Hiya guys! It hit me that I am really missing my long square nails. Don't get me wrong, the round shape has been refreshing and gave me something different/fun to try out for a bit. I'm hoping towards the end of the year I'll be able to reshape back to squares. What do you think? I have a poll on my side-bar, so make sure to let your thoughts be known. 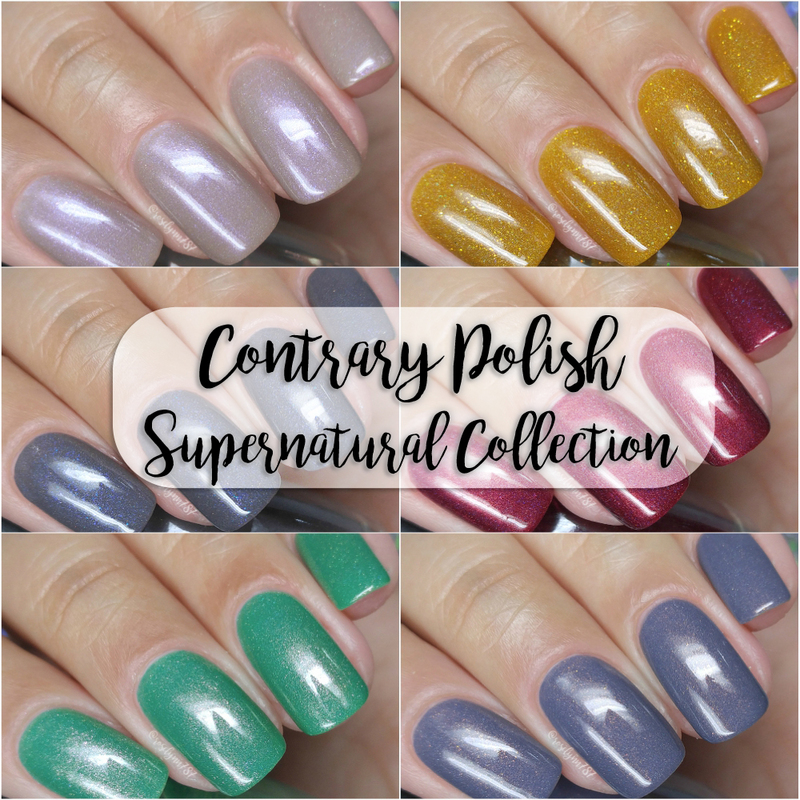 Moving on though... Today I'm sharing swatches for the Supernatural Collection by Contrary Polish, which consists of six gorgeous shimmery shades. The entire collection is based on creatures from the TV show Supernatural! It's one of my favorite shows of all time, so needless to say I'm more than a little excited. Okay so let's go ahead and get right to the swatches! The Supernatural Collection by Contrary Polish will be available for purchase on Wednesday, October 18th. Each full-size bottle retails for $11 or the mini-size for $5.50. The complete full-size collection can be purchased for $59.40 or in mini-size for $29.70. Witch can be described as a tan with pinky-purple shimmer and holo sparkle. So we're starting of this review with a shade that's not one of my favorites unfortunately. Although the color itself is lovely, to me it just doesn't suit my skin-tone. It ends up clashing a bit and brings out too much warmth. That aside, the shimmer has a subtle color change against the base. It definitely gives it a very soft elegant tone, which is hilarious if you think about considering the name. The formula has a sheer application that builds-up well for full coverage. Very even throughout and didn't have any issues with layering. It has a nice balanced consistency, not too thick or too thin. It dries down to a smooth and high-shine finish. Shown in three coats and sealed with a glossy topcoat. Banshee can be described as a smoky purple with copper shimmer and holo sparkle. Isn't she a beauty?! Not only do I love that it's so shimmer filled, but purple is everything and the combination is perfection. The hue nails the vibe for the season whilst bringing us that tinge of uniqueness. Plus it looks stellar against my skin complexion. The formula leans on a sheer application, but it has great build-up for full coverage. It has a balanced consistency, not too thick or too thin. This shade also dries down to a smooth finish and a gorgeous high-shine on its own. Shown in two coats and sealed with a glossy topcoat. Amazon can be described as a rich red with blackened gold shimmer and holo sparkle. No collection is complete without a little red and this is simply a killer! Out of the whole collection, this one has the most subtle shimmer contrast against the base. Normally that's something I would complain about, but the red here is so rich that it ends up balancing out. Plus it's a shade that always compliments a skin-tone, which is probably why I love it as much as I do. The formula has a great opacity and smooth application. Like most of the other shades in this collection, the consistency is perfectly balanced. It's a dream to work with, very smooth and easy layering. I experienced no staining to my cuticles or my nail-beds during removal, which is always such a big plus when it comes to a red. Shown in two coats and sealed with a glossy topcoat. Djinn can be described as a urky grey with cobalt blue shimmer and holo sparkle. Now while I really like this shade, I did find it to be a little too similar to Banshee. It's definitely not a big deal, but I personally tend to lean on the collections that offer a lot of variety. That said, this has a stunning contrasting shimmer! The blue is so eye-catching against the grey while not being too blinding - the perfect mesh. The formula has a very opaque application, almost a one coater. It's so smooth and creamy, an absolute dream to work with. Nice balanced consistency as well, not too thick or too thin. It dries down to a smooth high-shine finish on its own. Shown in two coats and sealed with a glossy topcoat. 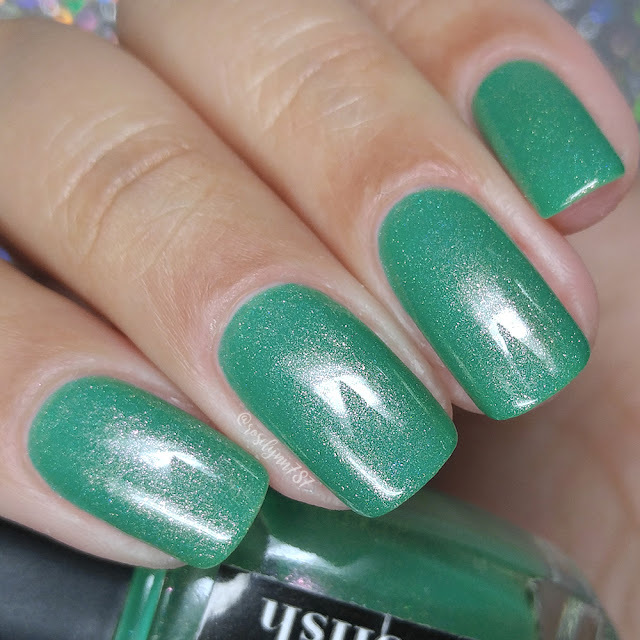 Rakshasa can be described as a bright blue-leaning green with peach shimmer and holo sparkle. Here we have my pick as must-have and one of my favorites from this collection. Actually a favorite from this brand ever! The color of the base itself is stunning, but combined with the shimmer it takes it to a whole other level. Definitely don't have anything quite like it in my collection, which says a lot considering I have eight helmers full haha. The formula has a sheer application that needs some layering for full coverage. Consistency wise it leans a little on the thick side, but it's manageable to work with. I considered adding a little thinner, but didn't because the layering was pretty seamless. It dries down to a smooth finish and high-shine. Shown in two to three coats and sealed with a glossy topcoat. 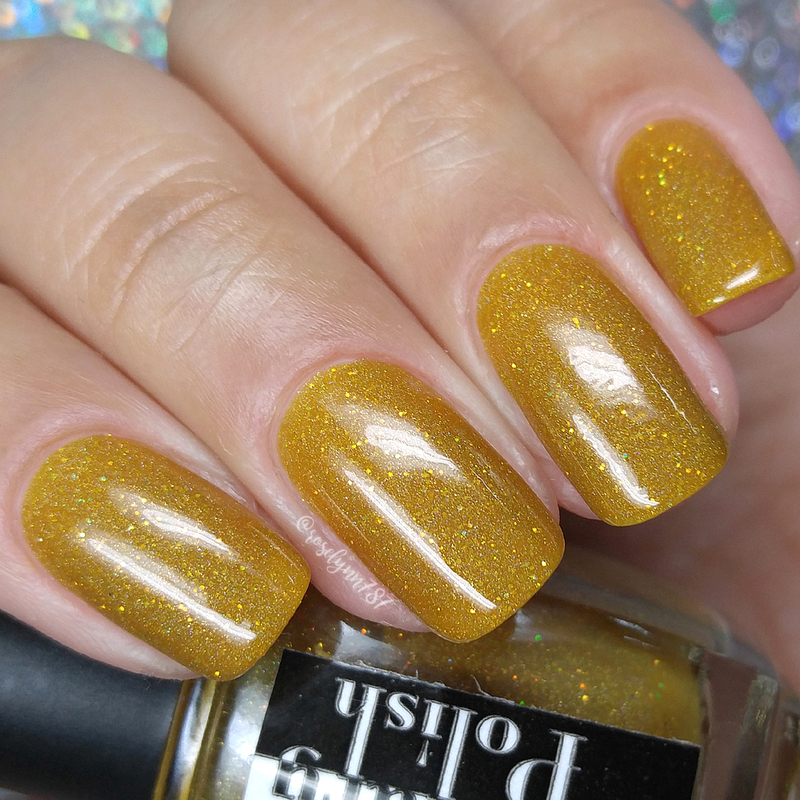 Zanna can be described as a mustard with a mix of holo elements: linear, scattered, and micro-glitter. And we're closing off this review with another one of my favorites in this entire collection. Who would have thought I would say that about a yellow based polish?! But you know it's a hella good polish when it can blow away your preconceived notions on a color. 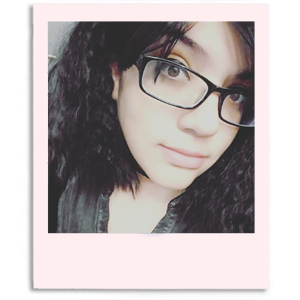 The color suits my skin-tone really nicely and doesn't clash. Definitely has my stamp of approval for must-have! The formula has a sheer application, but builds-up great for full coverage. It has a nice balanced consistency, not too thick or too thin. It dries down to a minimal gritty finish that smooths out perfectly after topcoat. Lots of sparkle and shine! Shown in two coats and sealed with a glossy topcoat. 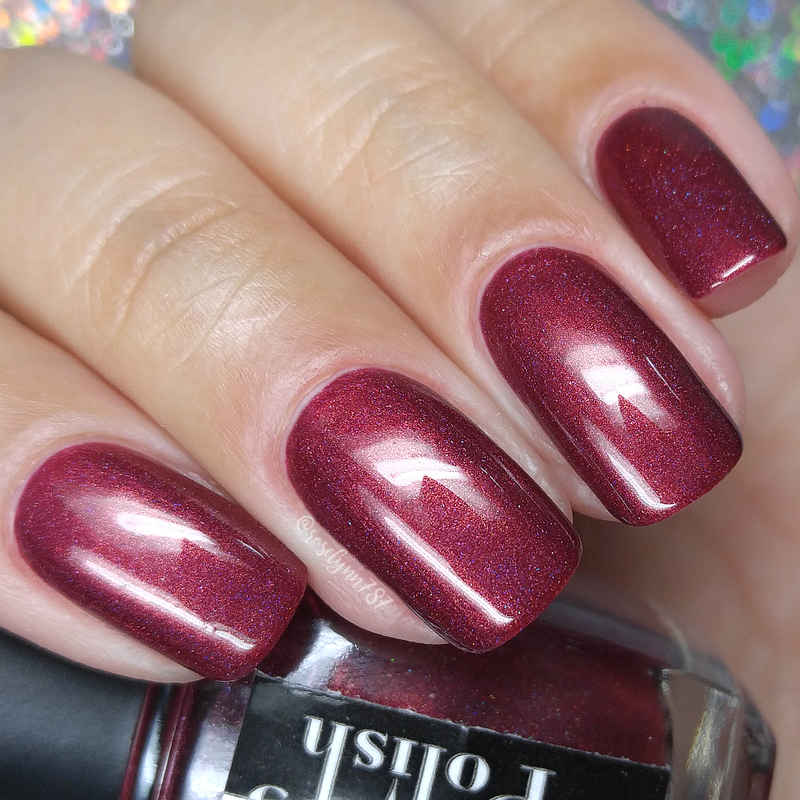 To recap, the Supernatural Collection by Contrary Polish will be available for purchase on Wednesday, October 18th. Each full-size bottle retails for $11 or the mini-size for $5.50. The complete full-size collection can be purchased for $59.40 or in mini-size for $29.70.